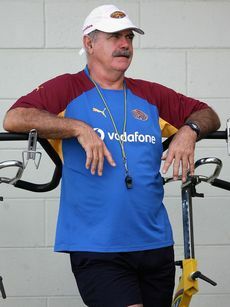 Leigh Matthews is the coach for the Brisbane sports team The Lions. Matthews has turned to the children's story Winnie the Pooh in hope to lift the teams morale, after yet another loss. Their recent defeat against Collingwood marks their third straight defeat, but Leigh was reported to having told the team that he didn't want to see long faces like Eeyore, "we are having an anti-Eeyore week this week". "You know Eeyore out of Pooh bear - 'Ooooh it's a sad day'. So we are having an anti-Eeyore week. I don't care what people are like a day after the game, you can be miserable or you can do whatever you do".